What do you really know about the nutrients in your spray tank? Do you know where your liquid fertilizers are made and if other chemicals are made in the same facility? Do you know how long they sit on the shelf before you take delivery or how many country or state borders they cross before ending up on your turf? 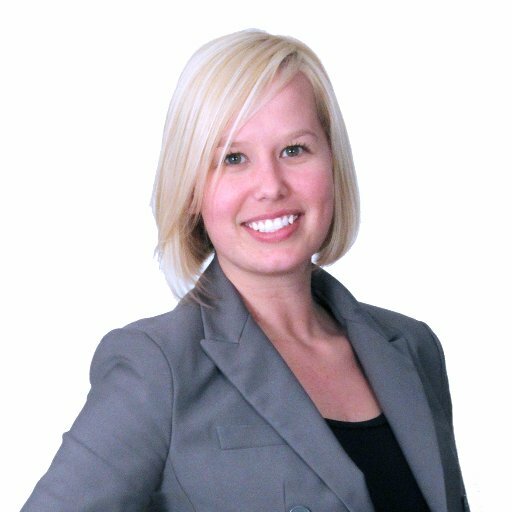 Have you ever asked your sales rep any of these questions? 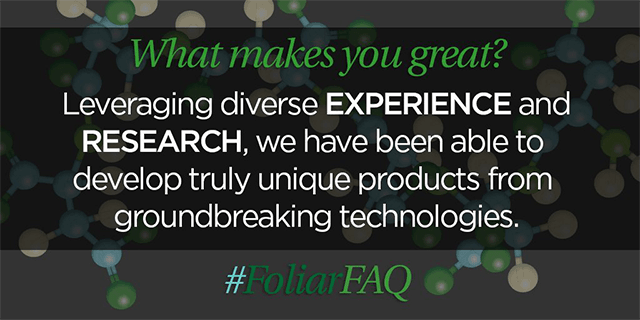 We invite you to join our #FoliarFAQ discussion, and we challenge you to ask! 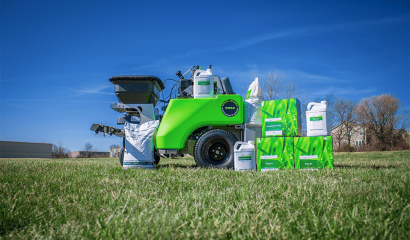 We begin our #FoliarFAQ series with four questions that should be asked to better know your fertilizer supplier. 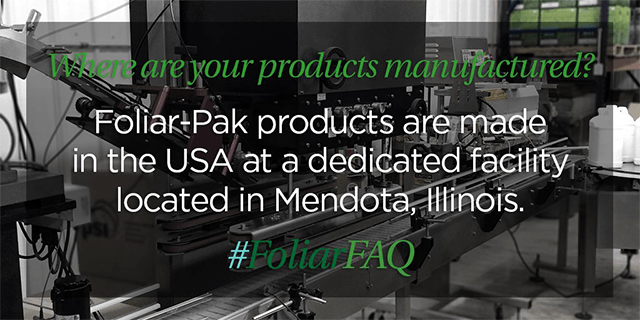 Foliar-Pak products are made in the USA at a dedicated facility located in Mendota, Illinois. Our manufacturing facility is located within a strategic proximity to our warehouses and our customers. Our products are made throughout the year, and they don’t cross international borders. Local manufacturing means our orders are filled more quickly, so we don’t have to stockpile products to get what you need when you need it. The Foliar-Pak brand represents quality, and we are proud to say it is made in the USA! What else is manufactured in your facility? Foliar-Pak products are manufactured by EnP, a leader in plant nutrition for nearly 30 years. They don’t just specialize in plant nutrition; it’s all they do. EnP manufactures both liquid and dry fertilizers. Their products are made with high-quality raw materials and supplemented with organic-based nutrients. Ingredients like plant derived amino acids, food-grade polysaccharide sugars and molasses, nitrogen, phosphorus, and potassium are the types of materials you will find in our manufacturing facility. You will never find herbicides, insecticides, fungicides, or other chemicals that pose a risk for contamination in our manufacturing facility. Statistically speaking, accidents happen. Even with the strictest processes, you might get one mistake every one million times. Unlike in a facility that manufactures other inputs that are harmful to plants, that one-in-a-million mistake made in our facility won’t cause injury to your turf and plants. Product performance and safety are important to us, and we don’t take chances with contamination. 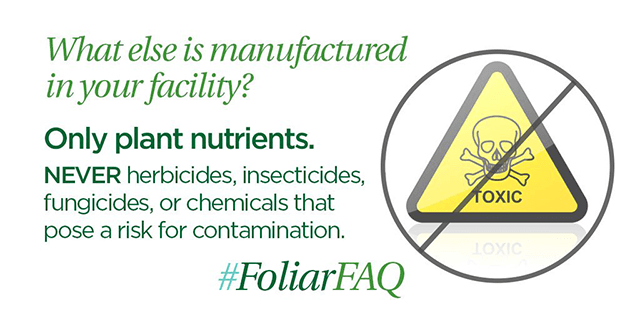 Foliar-Pak products will always be made at a dedicated facility that specializes in plant nutrition. 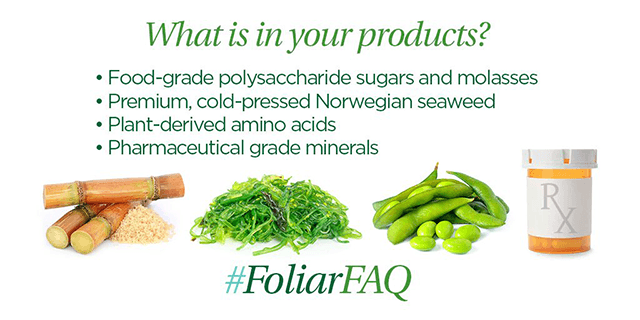 Foliar-Pak products contain quality ingredients including food-grade polysaccharide sugars and molasses, premium cold-pressed Norwegian seaweed, plant-derived L-amino acids, and pharmaceutical grade minerals. 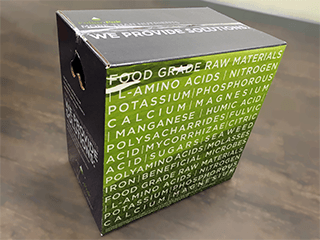 We’re so proud of the ingredients in Foliar-Pak products we put them on the box. Our standards are high, and every aspect of the product—from the quality and grade of raw ingredients to the actual manufacturing process—undergoes scrutiny. Our stainless steel mixers are cleaned after every batch to ensure that each new batch has precisely what is stated on the label. “Close enough” is not acceptable for Foliar-Pak. Whether we’re building precise amino-acid packages or creating an enzyme-extracted humic acid packed with beneficial plant metabolites, we are committed to always sourcing, creating, and manufacturing exceptional products from superior raw ingredients. This adherence to quality creates an unparalleled end-user experience. Driven by our passion for innovation and turf research, we have created joint ventures and relationships with some of the most brilliant PhDs in basic-science academia. This allows for an exchange of information between our world of growing turf and their world of science. Using this diversity and richness of experience and research, and leveraging the decades of combined turfgrass management experience from our distributor sales representatives, we are able to develop truly unique products from groundbreaking technologies. 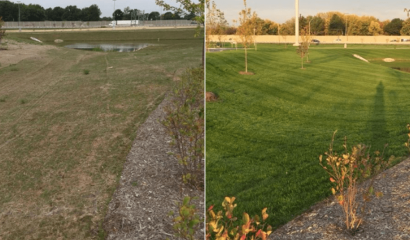 Because of these technologies, turf managers are able to reduce their inputs—saving money, time, labor, and the planet. We think that makes Foliar-Pak great!